Started eating sinking pellets as it's comeback food... went roughly 1.5-2 months of self induced hunger strike for no reason. Just sharing so ppl dont worry needlessly when their reds go on hunger strike... provided no health or water issues they'll just resume eating as n when they want. can i ask if you try other foods that it still refuse to consume? Hahaha wasn't sure if you were replying to me. But since the TS's red is already eating - but again, might be hikacking his thread. I tried FBW and love ghost shrimps even. It's moving pretty actively, just ignoring the food... I think about 1-2months already, 9-10". I WC once a week and I think my water is fine. I have another ray slightly small which eats like a pig and pounce on any kind of food even pellets. your ray hasnt eaten for 1-2 months? was it new and never ate or u had it for some time n it stopped eating? is the poop white / stringy? breathing any problem eg hyperventilating or breating out of one set of gills only? does it swim wierd /spasm / cough violently at times? it'll be good if u could post pics and double check your water parameters to play safe, but i'll say high chance flukes or internal parasites. praziquantel based treatment like prazi pro or prazi gold would be what u need then. 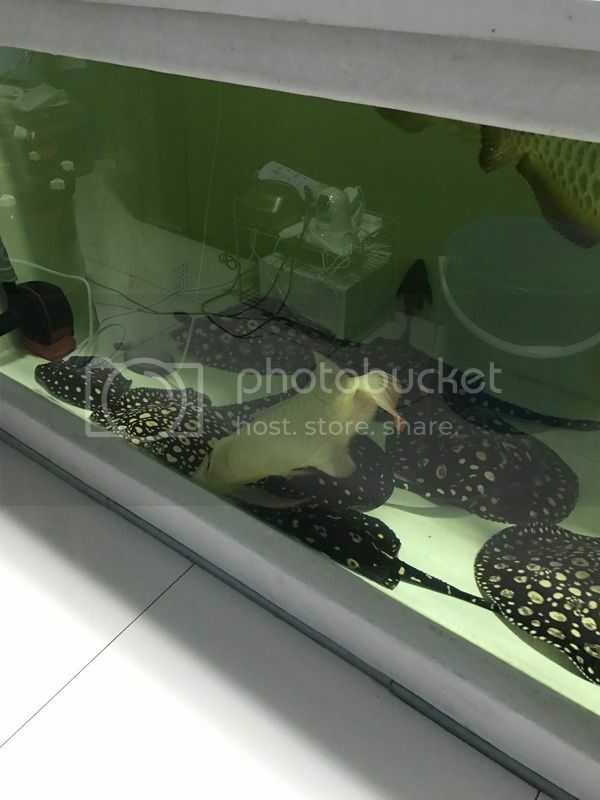 Just to add... larger red Aros going on hunger strike quite normal... rays on the other hand should never stop eating.. a healthy ray is always greedy. what was it feeding on before u got it? technically most rays will eat minutes to hours after transfer even if long transport time.. unless it was very stressed or not properly acclimatized... but even then not eating for 1-2months shouldnt be the case. mine too. A 26" 5-year old red goes off food for more than 2 months. Just maintain good water parameters. It just doesn't want to feed. Honest, this is not the first time my "min min" did it.